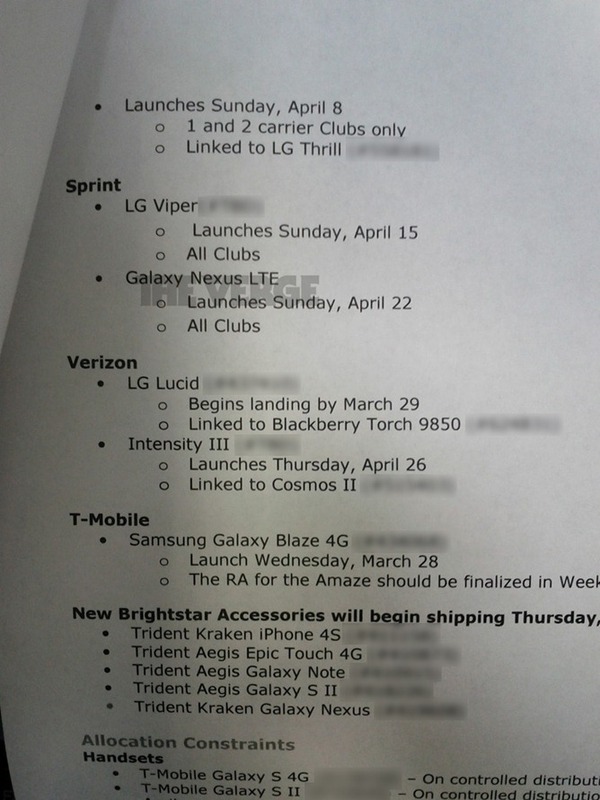 Okay, I know what you're thinking: isn't the Sprint GNex coming out on April 15th? Well... maybe. Actually, we're not sure now - according to a new document obtained by The Verge, it could actually be coming out exactly one week later, on April 22. Despite the fact that the earlier leak came from a highly trusted source, this image appears to be legit, as all of the other dates are spot-on. So, if you're determined to get your hands on the very first Sprint LTE device out of the gate, it looks like the LG Viper is still on-schedule to hit on the 15th. Of course, this could just be Wal-Mart specific, and the GNex could still land in Sprint retail outlets on April 15th, like previously rumored. There's only one way to find out for sure: wait for Sprint to let us know.